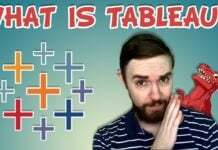 A lot of people are unaware of Tableau Public, and those that are aware often don’t see the massive benefits to them and their careers by using it. I’ve created lengthy and detailed explanations on this topic, but in today’s post I want to give you a short version to help you and others see the benefits of using Tableau Public. Tableau Public is a free, pared down, version of Tableau Desktop. Which is a powerful piece of data visualisation and exploration software that is easy to use for all skill levels and professions e.g. business analysts, journalists, students etc. It just limits your data connections to simple files such as Excel, CSV and Google Sheets. Once you’ve built a dashboard, you then post it online to be shared via a URL or embedded on a website. So be careful not to use sensitive data in Tableau Public e.g. 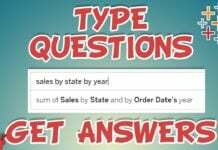 your employer’s sales data. How does it help your career? 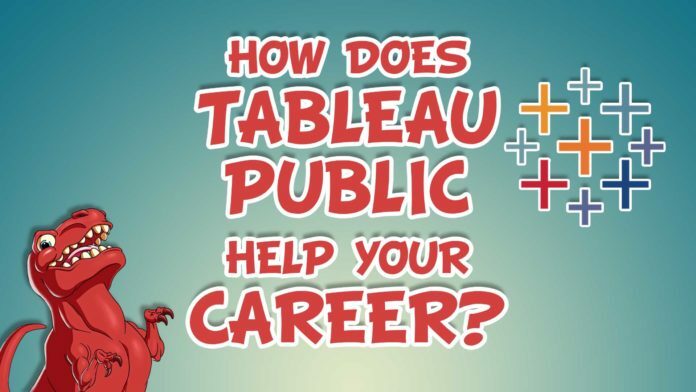 Apart from it being fun to learn and use, there are many selfish reasons to get involved with Tableau Public; mainly revolving around giving your career a much needed edge. Every dashboard you upload gets put into your gallery (unless you hide it). This is a great thing to link to when applying for a new job or promotion. Without the restriction of using your employer’s data, you’re free to use and explore any data sets you want. This in turn can enable you to learn new data handling and data visualisation skills. I’ve gained skills in custom maps, animated gifs, mobile design, YouTube data, viz in tooltips, parameter tools and much more by embracing Tableau Public. If you’re stuck finding data sources or inspiration for your vizzes, why not participate in the #MakeoverMondays or #SWDchallenge community events. Tableau Public has an active and vibrant community around it. If you get involved with it, it can help establish you within the data viz and analyst communities. Submit your best work to the Tableau Viz of the Day gallery and you might featured there (email submissions to [email protected]). Again, not a bad thing to show off your skills and talent to people. 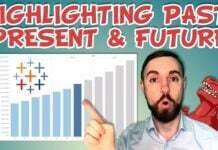 Hopefully now you better understand what Tableau Public is and how it can help your career. If you invest the time with Tableau Public, you will reap the great benefits it provides. I love being creative and learning new things – so these other benefits are just the icing on the cake for me. But if you need extra incentives to invest the time with Tableau Public, I hope this article has gone some way in persuading you. Have you created something awesome in Tableau Public or has embracing it helped your career? Let me know in the comments below!